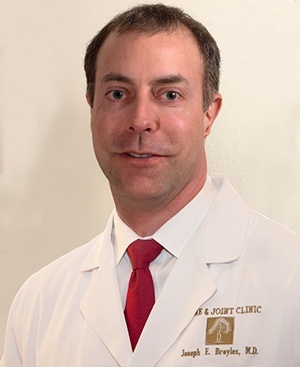 Dr. Broyles has a special interest in cartilage regeneration, a procedure that utilizes your body’s own stem cells to regrow lost cartilage and has completed a clinical trial with 21 knee patients. Learn more about knee treatment. Research in cartilage regeneration in the knee or hip using stem cells. Platelet-rich plasma (PRP), a new non-surgical treatment for chronic tendinosis. Download a PRP brochure, or read a March, 2010 article in the Baton Rouge Heathcare Journal on PRP.